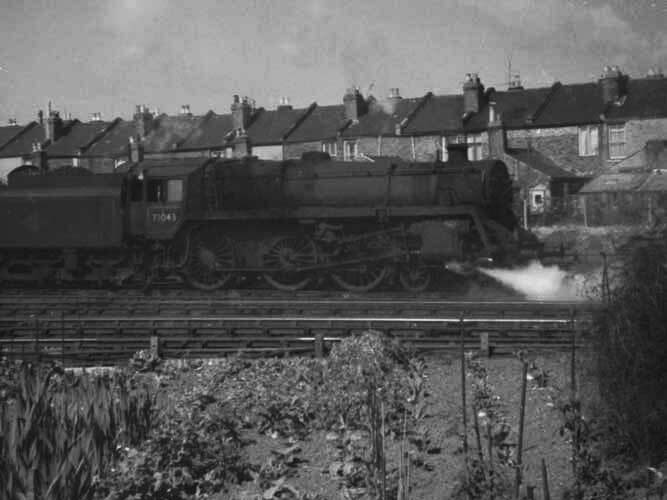 Steam loco type 5 4-6-0 no. 73043 on an engineers train leaving Fratton goods yard on Sunday July 9th 1967. It is making quite a noise, with the relief valve open. Note the driver's arm in cab.